MANILA, Jan. 20, 2016 – As announced yesterday, the new trailer for Warner Bros. Pictures' “Suicide Squad” goes live today and may be viewed here at https://youtu.be/6BHn01-DD-A. The studio has also released a cast image of “Suicide Squad” to support the trailer launch. The new action adventure “Suicide Squad” brings DC Comics’ super villain team to the big screen under the direction of David Ayer (“Fury”), who also wrote the screenplay. The film stars two-time Oscar nominee Will Smith as Deadshot; Joel Kinnaman as Rick Flagg; Margot Robbie as Harley Quinn; Oscar winner Jared Leto as the Joker; Jai Courtney as Boomerang; and Cara Delevingne as Enchantress. Completing the cast are Adewale Akinnuoye-Agbaje as Killer Croc, Jay Hernandez as Diablo, Adam Beach as Slipknot and Karen Fukuhara as Katana. 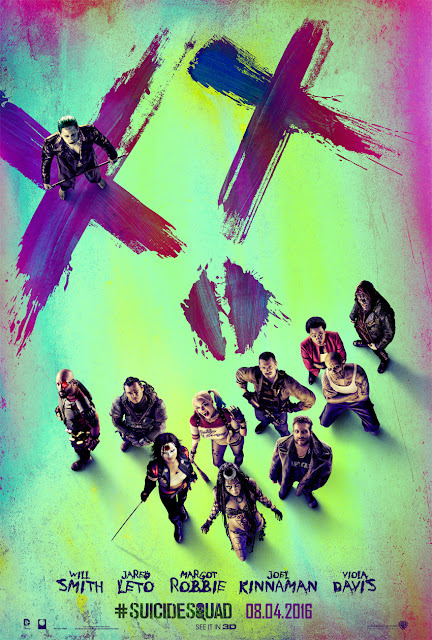 “Suicide Squad” is produced by Charles Roven (“The Dark Knight” trilogy, upcoming “Batman v Superman: Dawn of Justice”) and Richard Suckle (“American Hustle”). Zack Snyder, Deborah Snyder, Colin Wilson and Geoff Johns are serving as executive producers. The film is slated for release in the Philipines on August 3, 2016, from Warner Bros. Pictures.